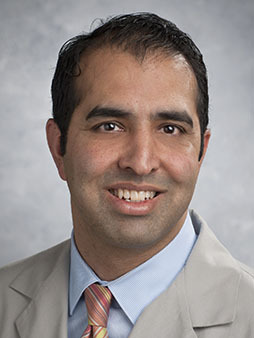 Dr. Arif Ali is a board certified orthopedic surgeon who completed two fellowships that enable him to specialize in sports medicine and arthroscope, joint replacement and treatment of complex fractures. Dr. Ali is also skilled in complex revision surgery and has been a partner at Orthopedic Surgery Specialists (OSS) for several years. In addition to treating patients, he also plays an active role in teaching resident physicians, is a part of the trauma team at Advocate Lutheran General Hospital and serves as the Director of Orthopedics at Avanti Wellness and Rehabilitation. Fellowship: Sports Clinic Orthopedic Associates, Inc.
health eNews with Arif Ali, M.D.